(Leah Hogsten | The Salt Lake Tribune) I appreciate the level and the degree that our society has taken this situation for what it is, said Alex Wubbels responding to the news of Detective Jeff Payne's firing. I can only hope that my actions are enough to invoke change. Detective Jeff Payne, who arrested University Hospital nurse Alex Wubbels, was fired October 10, 2017 and his watch commander on the day of the encounter, Lt. James Tracy, has been demoted, according to documents signed by Salt Lake City Police Chief Mike Brown that were delivered to the officers Tuesday. Payne aggressively arrested Wubbels on July 26, after she refused to allow him to draw the blood from an unconscious patient involved in a fiery crash in Cache County earlier in the day. Citing hospital policy, Wubbels had told Payne he could not draw the crash victimÕs blood because the man was not under arrest, Payne did not have a warrant, and he could not obtain consent from the unconscious man. 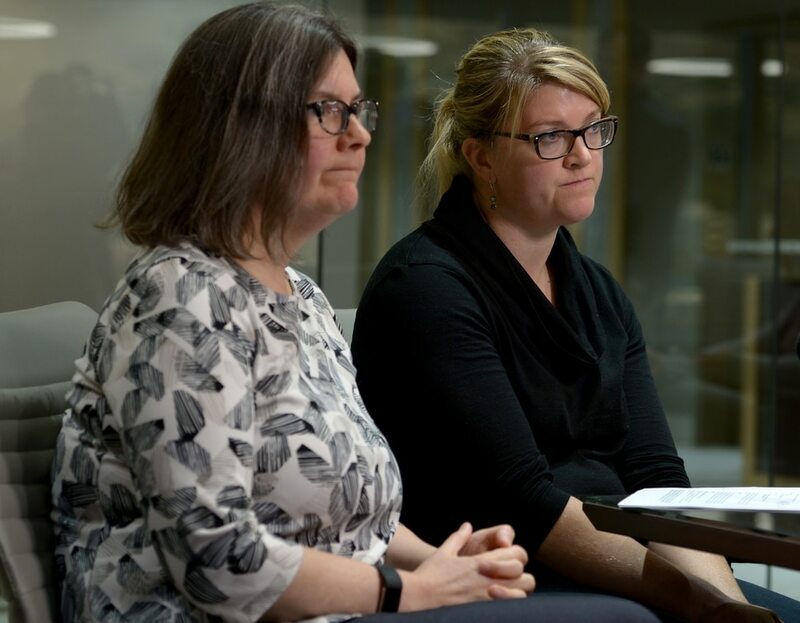 (Leah Hogsten | The Salt Lake Tribune) I do not think the truth would've been told without the body camera footage, said Alex Wubbels, right, joined by her attorney Karra Porter. That's a testament to the necessity for body cameras throughout our state. Detective Jeff Payne, who arrested University Hospital nurse Alex Wubbels, was fired October 10, 2017 and his watch commander on the day of the encounter, Lt. James Tracy, has been demoted, according to documents signed by Salt Lake City Police Chief Mike Brown that were delivered to the officers Tuesday. Payne aggressively arrested Wubbels on July 26, after she refused to allow him to draw the blood from an unconscious patient involved in a fiery crash in Cache County earlier in the day. Citing hospital policy, Wubbels had told Payne he could not draw the crash victimÕs blood because the man was not under arrest, Payne did not have a warrant, and he could not obtain consent from the unconscious man. (Leah Hogsten | The Salt Lake Tribune) I do not think the truth would've been told without the body camera footage, said Alex Wubbels. That's a testament to the necessity for body cameras throughout our state. Detective Jeff Payne, who arrested University Hospital nurse Alex Wubbels, was fired October 10, 2017 and his watch commander on the day of the encounter, Lt. James Tracy, has been demoted, according to documents signed by Salt Lake City Police Chief Mike Brown that were delivered to the officers Tuesday. Payne aggressively arrested Wubbels on July 26, after she refused to allow him to draw the blood from an unconscious patient involved in a fiery crash in Cache County earlier in the day. Citing hospital policy, Wubbels had told Payne he could not draw the crash victimÕs blood because the man was not under arrest, Payne did not have a warrant, and he could not obtain consent from the unconscious man. Salt Lake City Police Chief Mike Brown has fired one officer and demoted another in response to the July 26 arrest of University Hospital nurse Alex Wubbels, according to records obtained by The Salt Lake Tribune. Detective Jeff Payne, who arrested Wubbels, was fired Tuesday. Payne’s watch commander the day of the confrontation, Lt. James Tracy, was demoted to police officer III effective Wednesday, according to the documents signed by Brown and sent to the men. Brown’s decision is the culmination of an internal affairs investigation that began a day after the confrontation between Wubbels and Payne. The probe ultimately found that both officers had violated a number of department policies. Wubbels on July 26 refused to allow Payne to draw blood from an unconscious patient involved in a fiery crash in Cache County earlier in the day. She pointed out that the crash victim was not under arrest, that Payne did not have a warrant to obtain the blood and that he could not obtain consent because the man was unconscious. In response, a visibly agitated Payne arrested Wubbels. He was acting on orders from Tracy, who later responded to the scene. Payne grabbed and shoved Wubbels before placing her in a patrol car for about 20 minutes. The encounter was captured on police body cameras, and the footage sparked national outrage after it was released by Wubbels’ attorney about a month later. Findings of the internal affairs investigation were released Sept. 13, showing that both officers violated several department policies during the confrontation. Payne and Tracy then had 20 days to respond; both men met with department officials in recent weeks to provide their sides of the story. Brown was tasked with making a final decision on how they should be disciplined. Payne and Tracy have five days to file an appeal of the decision with the Salt Lake City Civil Service Commission. Both had been on paid administrative leave since Sept. 1, the day after the footage was released. Payne’s attorney, Greg Skordas, said Tuesday evening that he was disappointed with Brown’s decision and that his client wanted to appeal. He said Payne, who had been with the department for 27 years, was “devastated” by the news, and that he wants his job back despite the fact that he has spent enough time with the department to retire. While acknowledging that Payne made mistakes with the arrest, Skordas said he believes if the case had not been so high profile, Payne would have been disciplined but not terminated. The attorney representing Tracy, Edward Brass, did not respond to messages seeking comment Tuesday night. Stephen Hartney, president of the Salt Lake Police Association, a union, also did not respond to a request for comment. He previously wrote in a letter to Brown and Salt Lake City Mayor Jackie Biskupski that Payne and Tracy had been “unfairly and improperly made pariahs” by the city, and that the footage of the arrest had been prematurely released while an investigation was still underway. In an emailed statement, Biskupski said she backed Brown’s actions against the officers. The offices of Brown and Biskupski were bombarded with angry emails and calls in days after the footage was released, with some critics calling for Brown’s firing. Both Brown and Biskupski previously publicly apologized for the incident. Salt Lake City Council members also reacted to Brown’s decision Tuesday. “If there was ever a question in my mind if we should have body cameras or not, it was completely eliminated with this case,” Kitchen said. Wubbels’ arrest triggered changes and updates to Salt Lake City police policies regulating blood draws. The officers apparently had been acting on an outdated policy, Councilman Stan Penfold said Tuesday. “That shouldn‘t happen,” he said. Penfold said he wasn’t sure whether the footage and resulting outcry had affected Brown’s decision to fire Payne and discipline Tracy. “Certainly, you look at that video and it’s concerning,” he said. A criminal investigation into the episode continues, involving the Unified Police Department, the FBI and the Salt Lake County district attorney’s office. William Gray, the truck driver and part-time reserve police officer from Idaho who was at the center of the confrontation, died of injuries from the crash late last month. A man in a pickup truck who was fleeing from the Utah Highway Patrol crashed head-on into Gray’s semi on U.S. 89/91 near Sardine Canyon, according to Logan police, who investigated the collision. The pickup’s driver, Marcos Torres, 26, died at the scene. After the crash, Logan police requested that Salt Lake City police obtain a blood sample from Gray. Chief Brown took significant steps, and seems to understand the importance of regaining public trust. But further discussions are needed. “I would have had grave concerns if what we saw in that bodycam footage was not enough to lose your job as a police officer,” Porter said, adding that she is studying the letter demoting Tracy and hasn’t formed an opinion about that action. 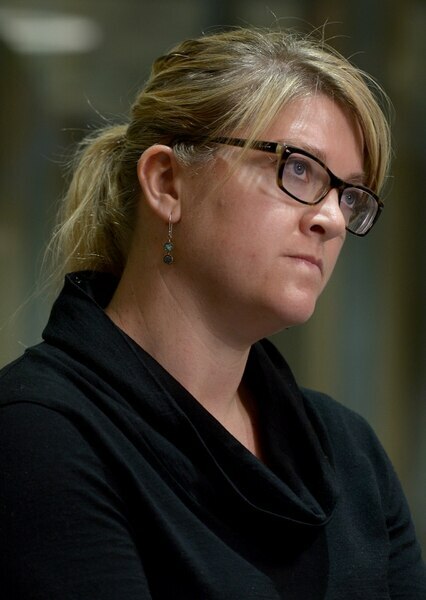 She plans to meet with Salt Lake City officials to discuss what comes next, including a potential financial settlement. 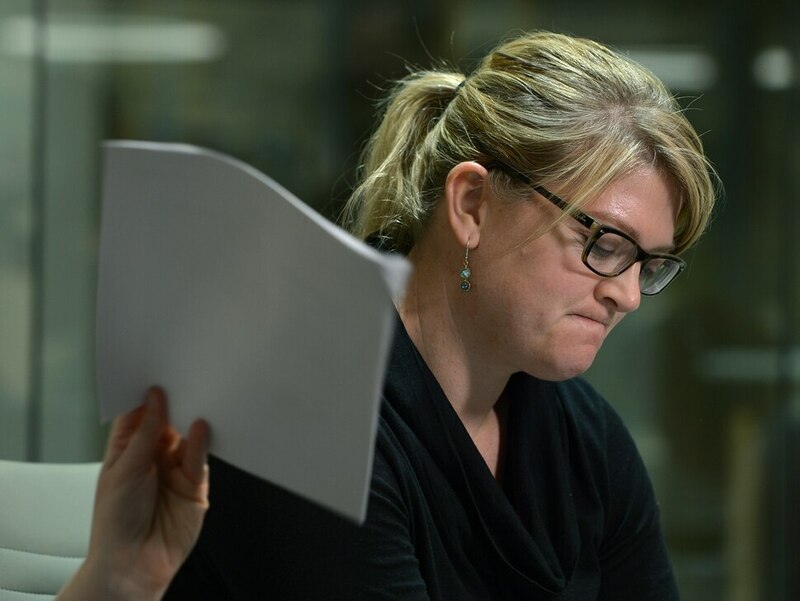 She also expects to meet with representatives of University of Utah police and security “because they facilitated this unlawful arrest and did nothing to protect Alex,” Porter said. Wubbels is heard on footage of the incident asking a U. police officer to protect her because Payne had threatened her with arrest. The U. officer informed the nurse that if she interfered with Payne’s investigation, she would be obstructing justice and he would not prevent the detective from arresting her. “I’m not aware of any meaningful change to university security or [university] police policy, nor am I aware of what disciplinary measures have been taken, if any,” Porter said. She also said that “we’ll know by the end of the month whether we will be taking legal action” against Salt Lake City or the university. Wubbels said Tuesday that she is glad the confrontation was recorded. The situation is a testament to the necessity for body cameras throughout the state, she said.